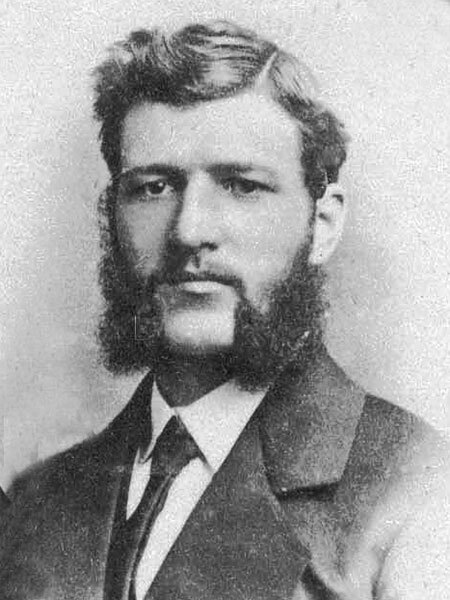 Born at Montreal, Quebec on 9 March 1849, son of Struthers and Janet Strang, brother of Robert Strang, he spent his boyhood at Hamilton, Ontario. At sixteen he went to work for the Grand Trunk Railway in Toronto. In 1868, at nineteen, he was sent to Fort Garry by several Hamilton merchants to ascertain trade possibilities and later acted as their agent. Following that he became manager of A. G. B. Bannatyne’s business and in 1881 he went into partnership in the wholesale liquor trade with one of Mr. Bannatyne’s sons. Four years later he became sole proprietor and operator under the name of Andrew Strang & Company. In 1870, he married Ann Harriott Sinclair (?-?) of St. Andrew’s. They had ten children: Margaret Caroline Strang (c1871-?, wife of Robert Clifford), Algernon Andrew Strang (1875-? ), Campbell S. Strang (1877-? ), Walter Ewing Strang (1880-? ), Harriet Strang (1882-? ), Ethel Sinclair Strang (1884-1979, wife of Robert R. Swan), Harold Beresford Strang (1887-? ), Janet Marion Sinclair Strang (1889-1986, wife of A. Purkis Cameron), Robert Sinclair Strang (1891-? ), and Victor Sinclair Strang (1896-?). He was elected to the first council of the newly incorporated City of Winnipeg in 1874 and served for several years. He was a promoter of the Hudson Bay railway and was active in various organizations, including the Winnipeg Board of Trade and the Liberal Association. He served for seven years on the Exhibition Board, one year as its president. He was a director of the Winnipeg General Hospital. In 1910 he was appointed Collector of Customs for Winnipeg. He served as President of the St. Andrew’s Society of Winnipeg (1909-1910). He died at Winnipeg on 4 September 1913. “Andrew Strang called by death,” Manitoba Free Press, 5 September 1913, page 9. Obituary [Ethel Sinclair Swan], Winnipeg Free Press, 4 January 1980, page 39.